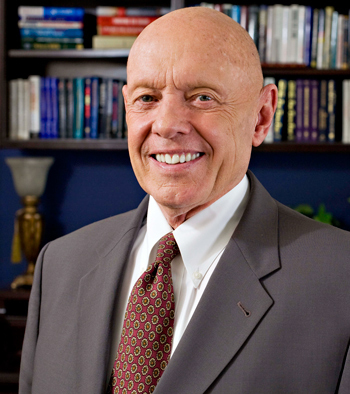 Stephen Covey had an uncanny ability to push his ego aside and make others feel included and valued. Even though we only met three times, he inspired me year after year to weave these key philosophies into my daily business activities. That is the disarming way in which my first interview with Stephen Covey began in 2004. In light of Dr. Covey’s passing this week, his lessons are more alive than they have ever been. I’m certain that my experiences with Covey were consistent with many others. This is my attempt to summarize those life lessons. I wish that I could say my first live interview with Covey went smoothly. Although FranklinCovey’s press team invited me to their Long Beach, Calif., conference, they asserted that Covey’s full schedule would not allow time for me to interview him. My expectations were very low. Suddenly, after the Day 1 main session, the reporter from the Los Angeles Times contacted Deb Lund, the director of PR, and cancelled his interview. She offered me his interview time slot. I paused three seconds for dignity, then said yes. Here’s the rub: I had seven minutes’ notice to prepare for the interview. As a rookie journalist and freelancer for The San Diego Transcript, I was panicking over my lack of preparation. I felt that I just didn’t have enough time to make a strong first impression. My hike to the second story of the conference center felt somewhat like the Bataan death march. I kept a stiff upper lip, looked him straight in the eyes, and spoke the truth. “Stephen, I apologize for not being prepared for this interview.” He deftly offered me an oatmeal cookie, sat back in his chair, and proceeded to ask me about my life, my family, and my passions. Needless to say, the interview is one of my most memorable. Our 15-minute interview spilled into 40. We covered a wide range of topics. Five years later, he graciously agreed to endorse my book and granted me another interview. Many will remember Covey for his prolific contributions to the burgeoning self-help movement. Others will applaud him for his global impact through his nonprofit endeavors and his prolific speaking and writing abilities. I applaud him for something else. Covey had an uncanny abililty to push his ego aside and make others feel included and valued. His book, The 8th Habit, outlines his belief that we must find our voice and inspire others to find theirs. Even though we only met three times, he inspired me year after year to weave that philosophy into my daily business activities. I constantly strive for deeper meaning and purpose. While some of my contemporaries become enamored with the latest marketing automation, performance management, or social media platforms, I strive to stay grounded in my life’s true purpose. Generating more leads or driving higher EBITDA are not examples of a noble purpose. Automated performance management and stack ranking programs have proven to be a hornet’s nest, because they often stray from a company’s purpose and assume that some people will always be worthy of termination. Are these ideas holding your company back from reaching its true potential? I schedule time for self-reflection every day. This may mean a five-minute check in with a colleague or my husband, but it gets done. During my CMO peer meetings, I encourage each member to provide a “check in”: What’s different from our last meeting? What worked in your performance? What didn’t work? What are you celebrating? Self-knowledge must take front and center position to text messaging, email, and tweeting. The majority of senior executives I meet confess that reflection is often rejected in favor of addressing the crisis du jour (the urgent versus the important). Picasso once said that “without great solitude no serious work is possible.” Perhaps he and Covey conspired at some point to help us strike more balance in our lives. Covey made this world a better place. 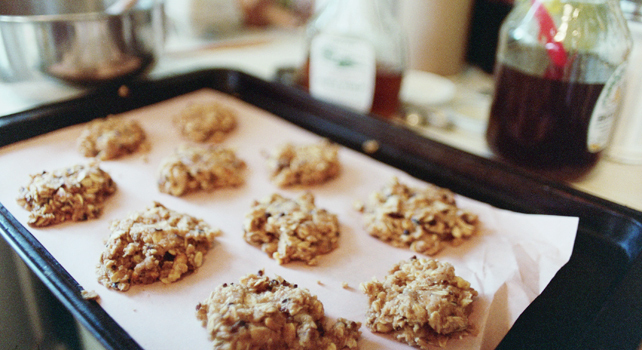 I will savor that “oatmeal cookie” moment for the rest of my life.